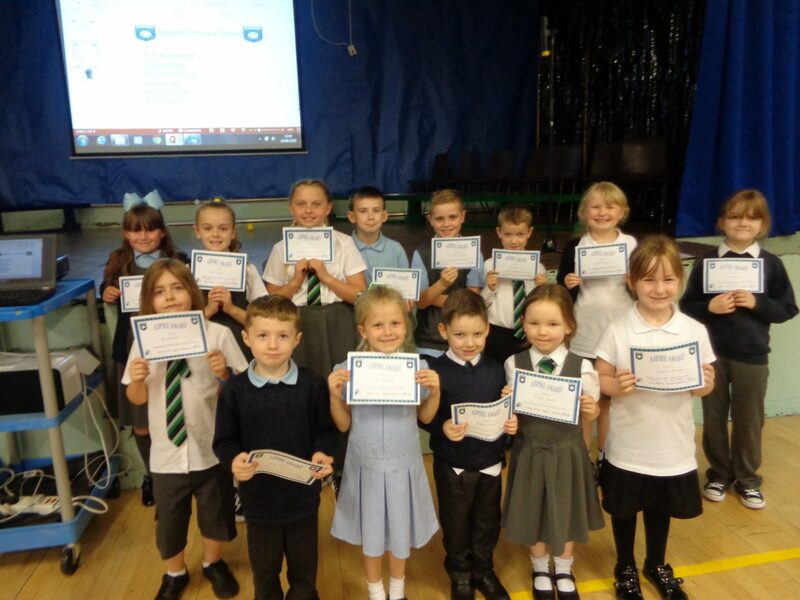 The first Awards of this academic year and they are as proud as punch! Well done to you all, keep focussed on achieving great things. 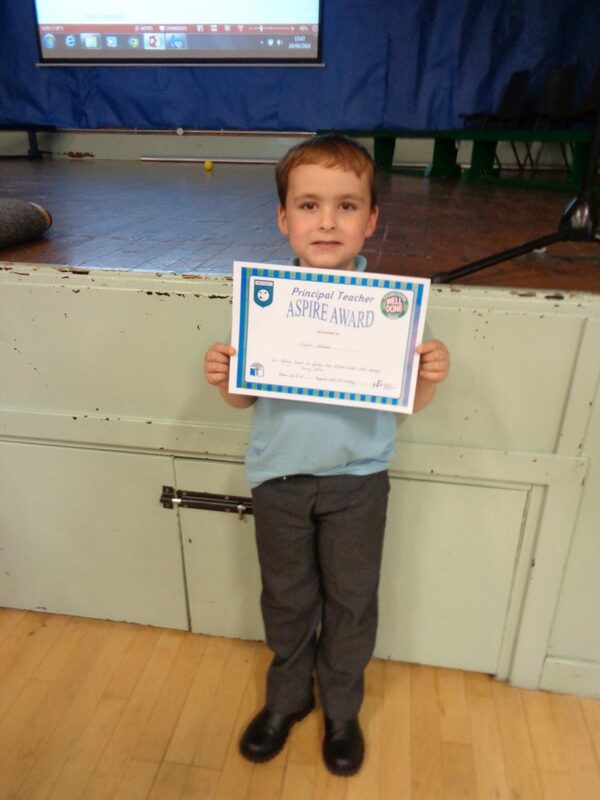 This P2 was absolutely ecstatic at receiving this weeks Principal Teacher’s Award! 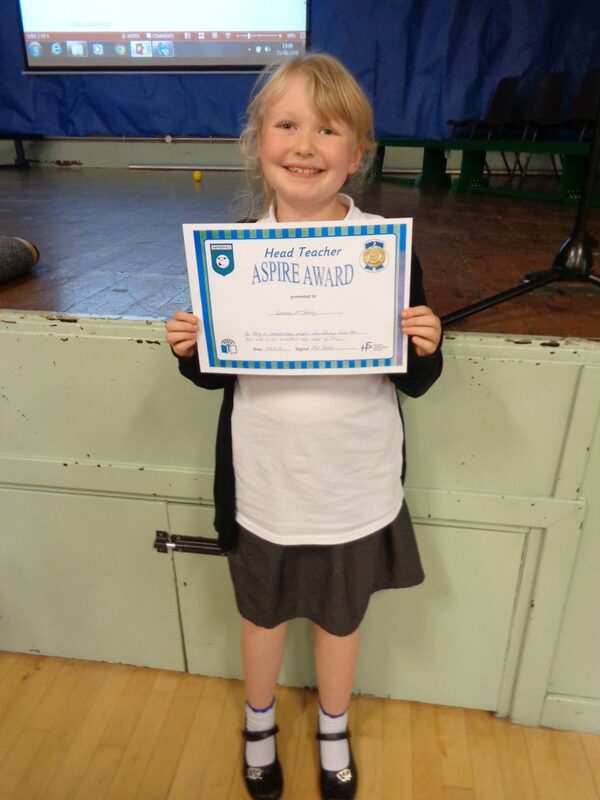 This Primary 4 not only received a weekly award from her teacher but here she is receiving the Head Teacher Award too, the smile says it all! Hello boys and girls! I hope that you are all having fun in the snow. I can not wait to hear all about your snow stories! •Read your reading book. Tell someone at home the characters in the book and what happens at the beginning, the middle and the end. 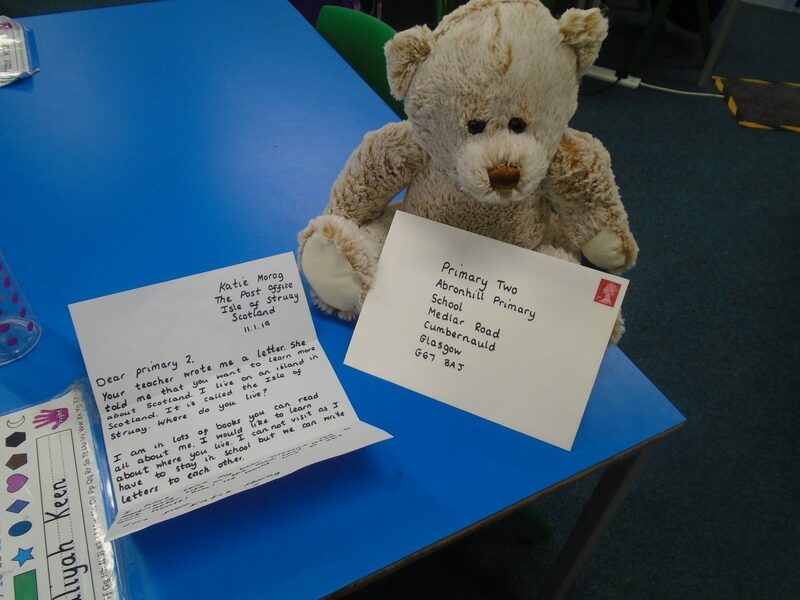 You could create an alternative ending to the story, drawing on paper and having a go at the writing with help from an adult. •Read your common words. Write them in the air using your finger or write them in the snow! •Use your 0-20 cards. Pick one card and say the number before and after. Pick four cards and order them (smallest to biggest and biggest to smallest). Use the 0-9 cards, pick two and add them together or take the smallest number from the biggest number, creating your own add and subtract sums. •We are learning about time. Time yourself doing a variety of tasks i.e. putting on shoes/jackets. Guess how long first and then time to check your guess! Practise saying the days of the week and months of the year. Thank you Really Small Science!